Pennsylvania coat of arms at Gettysburg National Military Park; Photo by [file:field-file-photographer]/[file:field-file-source] ([file:field-file-license]). Based on a 1778 design by Caleb Lownes of Philadelphia, the Pennsylvania coat of arms features a shield crested by an American bald eagle, flanked by horses, and adorned with symbols of Pennsylvania's strengths - a ship carrying state commerce to all parts of the world; a clay-red plow (a symbol of the Pennsylvania's rich natural resources); and three golden sheaves of wheat, representing fertile fields and Pennsylvania's wealth of human thought and action. An olive branch and cornstalk cross limbs beneath - symbols of peace and prosperity. 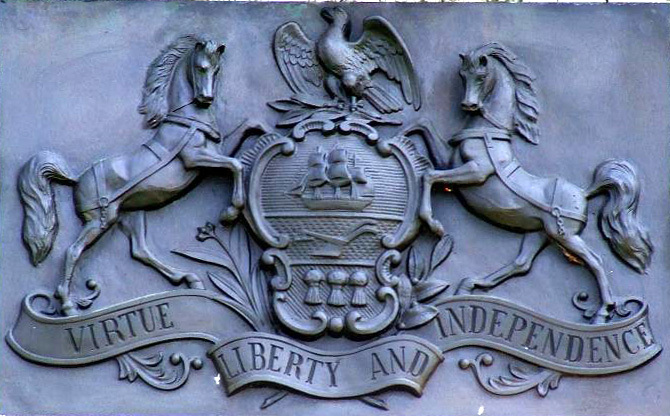 The state motto ("Virtue Liberty and Independence") appears festooned below. 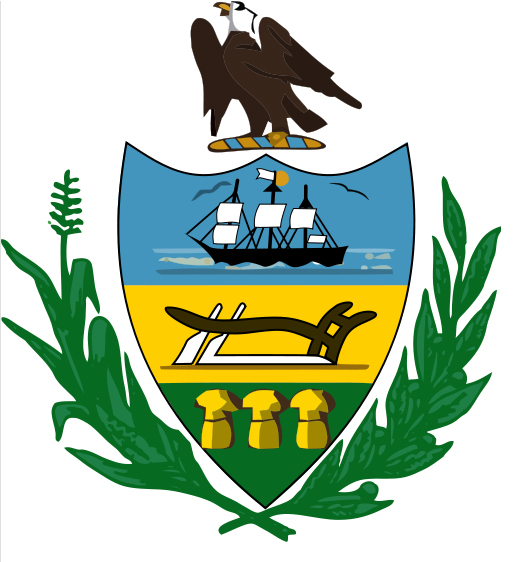 Provincial Pennsylvania's coat of arms was that of the Penn family. The coat of arms first appeared in an official capacity on paper money issued in 1777. 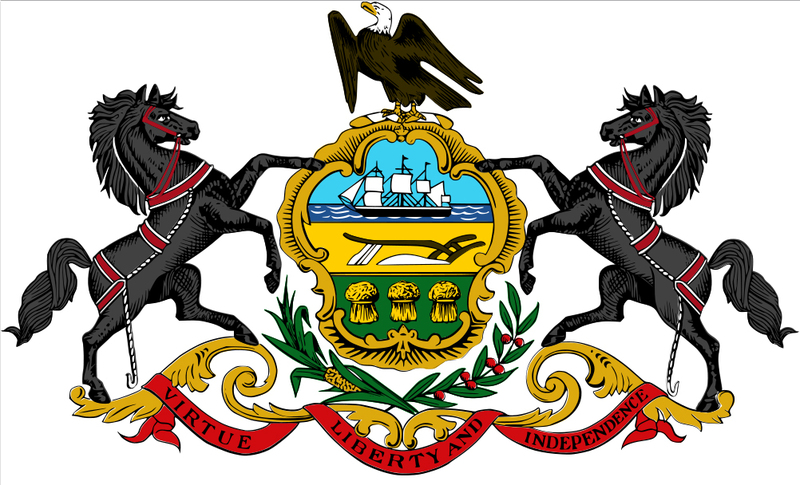 This first Pennsylvania coat of arms was nearly identical to the state seal (minus the inscription). 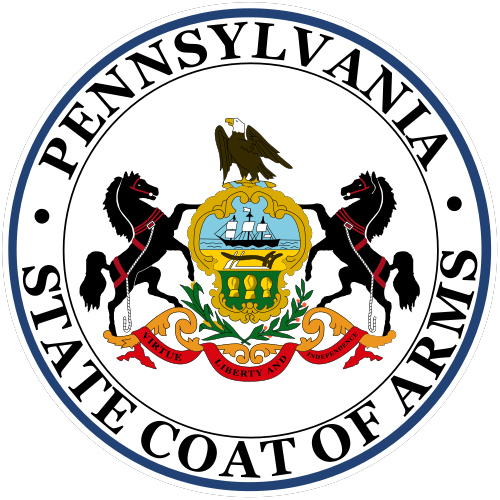 PA coat of arms shield is used on Pennsylvania state seal (public domain image on Wikipedia).